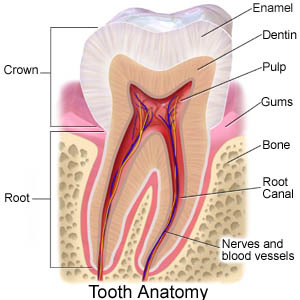 A root canal is one of the most common dental procedures performed, well over 14 million every year. This simple treatment can save your natural teeth and prevent the need of dental implants or bridges. 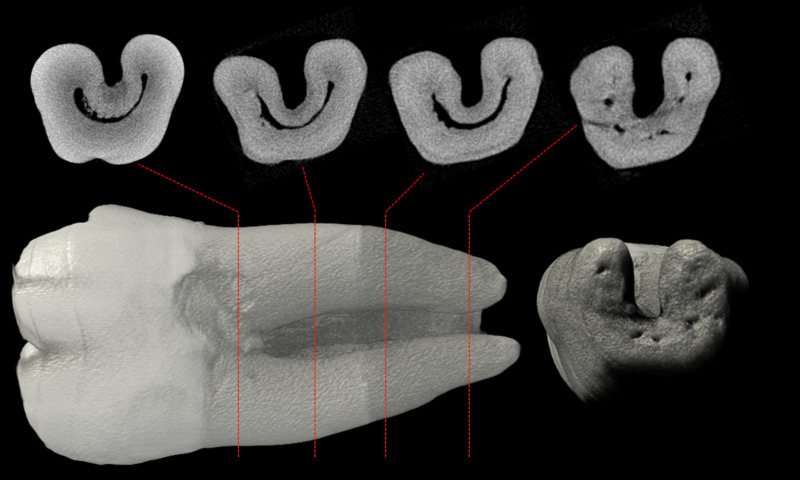 At the center of your tooth is pulp (refer to tooth anatomy image). Pulp is a collection of blood vessels that helps to build the surrounding tooth. Infection of the pulp can be caused by trauma to the tooth, deep decay, cracks and chips, or repeated dental procedures. Symptoms of the infection can be identified as visible injury or swelling of the tooth, sensitivity to temperature or pain in the tooth and gums. If you experience any of these symptoms, your dentist will most likely recommend non-surgical treatment to eliminate the diseased pulp. This injured pulp is removed and the root canal system is thoroughly cleaned and sealed. This therapy is performed under local anesthesia and may be completed in one or more visits depending on the treatment required. Success for this type of treatment occurs in about 90%-95% of cases. If your tooth is not amenable to endodontic treatment or the chance of success is unfavorable, you will be informed at the time of consultation or when a complication becomes evident during or after treatment. After a thorough examination the endodontist will then administer the proper amount of anesthetic. After the tooth is numb, a protective sheet called “dental dam” is placed over the area of interest to isolate the tooth and keep it clean and free of saliva during the procedure. This dental dam acts as a protective barrier to prevent any root canal cleaning solution or instruments from dislodging into the oral cavity. Once the plastic shield is firmly in place, the root canal procedure will begin with the access or opening of the crown portion of the tooth on the biting surface. 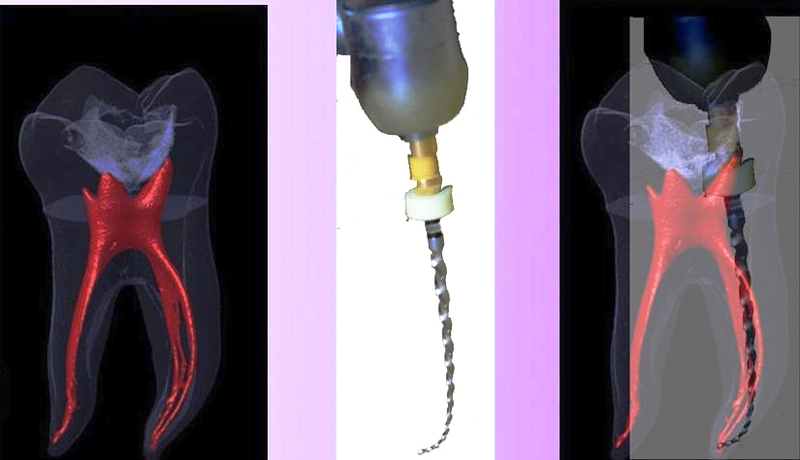 Various small endodontic instruments are used to clean the pulp chamber and shape the root canals prior to filling the canal systems. 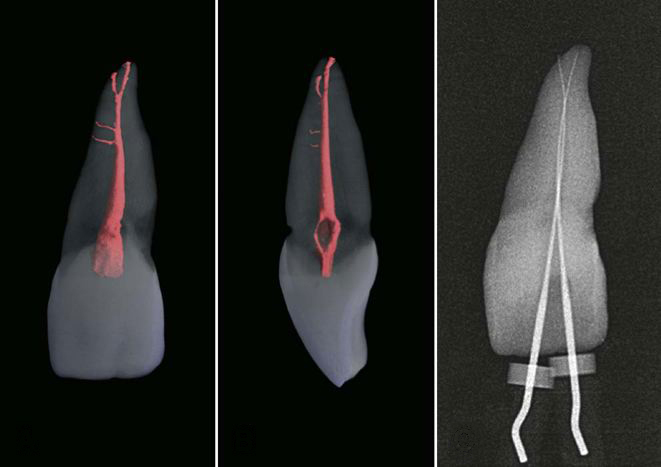 After the canal systems are clean and shaped, the endodontist will fill or obturate the root canal systems with a biocompatible material, usually a rubber-like material called gutta-percha and cement sealer. 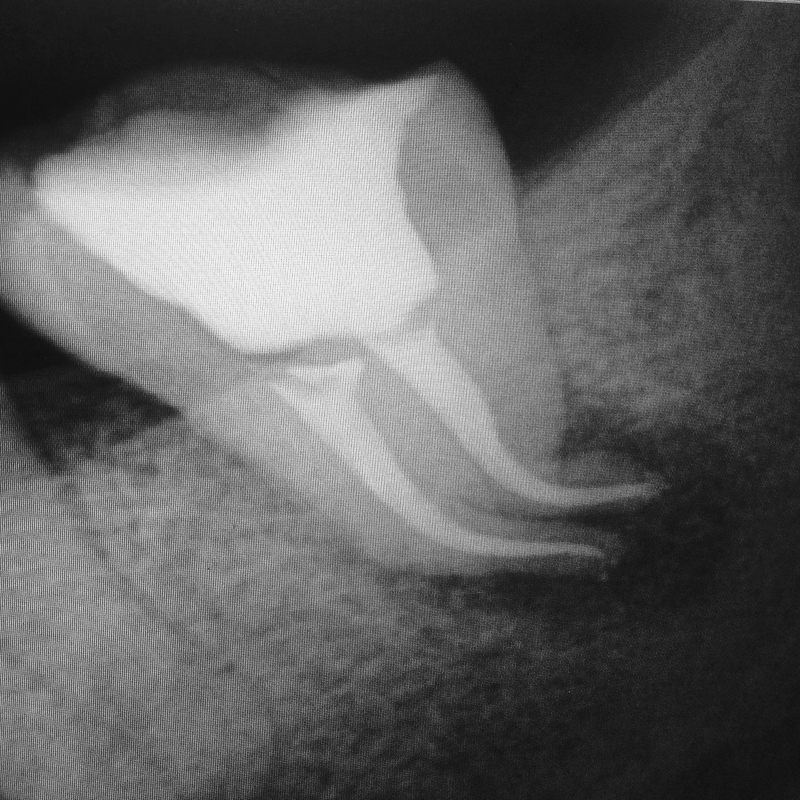 After the the root canal systems are filled, a temporary material will be placed in the access hole of the crown. The temporary filling will be removed by your general dentist before the tooth is restored. The root canal treated tooth must be restored within a timely manner to prevent any bacterial leakage to be introduce into the recently root canal treated tooth.